Varanasi, also known as Kashi or Banaras is the India’s most sacred city. Varanasi is also called as the city of light. Varanasi, the holy city is situated on the northern bank of the River Ganges in Uttar Pradesh. Varanasi derives its name from the two tributaries of the Ganga which are Varuna and Asi, between which it is situated. This city is visited by over one million people from all over the world. Varanasi is one of the oldest living cities in the world. 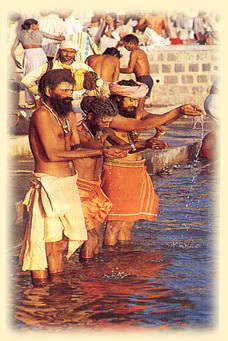 It is one of the most famous Hindu pilgrimage city in India. Varanasi is situated at an altitude of 81 meters above sea level. This city is not only linked with Hindus but it is linked with Buddhism and Jainism as well. Ghats (flight of steps) and temples are the principal tourist attraction in Varanasi. Thousands of pilgrims and devotees visit this city to make holy prayers, to meditate and to purify themselves by taking a bath in the holy river Ganges. There are about 100 Ghats in Varanasi which are situated on the west banks of the river Ganges. 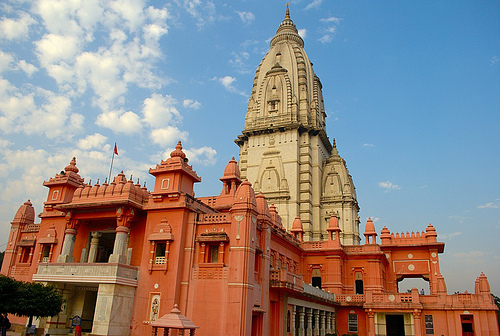 The other main tourist attraction in Varanasi is the Kashi Vishwanath temple or the Golden temple. This temple is dedicated to Lord Shiva. The other main places in Varanasi are the great mosque of Aurangzeb, Durga temple, Bharat Mata temple, the Ramnagar Fort Museum and Banaras Hindu University. 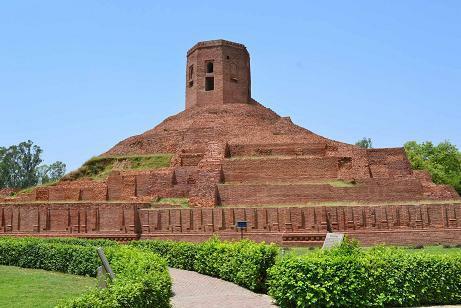 Sarnath and Bodhgaya are also situated near by Varanasi. Varanasi has always been a centre of trade and commerce. Varanasi is famous for the silk brocades and beautiful Banarasi saris. Banarasi saris are some of the most sought-after ones throughout India because of their extraordinary weave and texture. The place is also known for silk weaving, embroidery and metalwork. There is a direct, daily flight connection between Varanasi and New Delhi. Various flights also operate between Khajuraho, Kolkata, Mumbai, Lucknow and Bhubaneshwar. Varanasi is an important and major rail junction. It is connected with all the major cities across the country like New Delhi, Bombay, Calcutta, Madras, Gwalior, Meerut, Indore, Guwahati, Allahabad, Lucknow, etc. Varanasi is connected to the rest of the country by good roads. Varanasi is about 565 kms from Agra, 128 kms from Allahabad, 765 kms from Delhi and about 405 kms from Khajuraho.